Copying Field value to another field conditionally. Plz see the attached image for details. 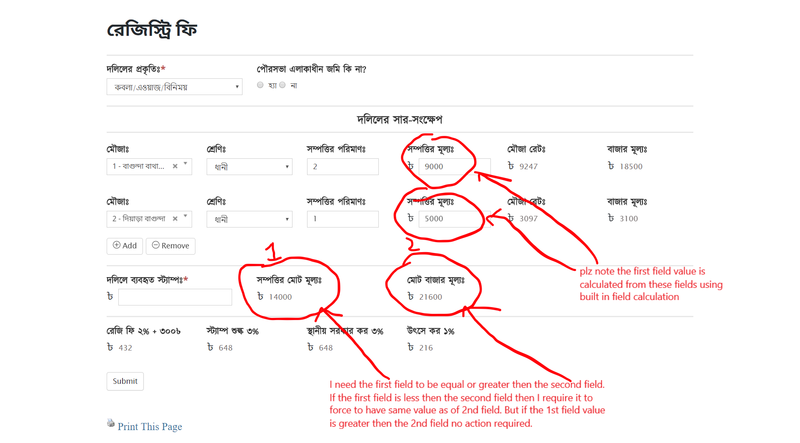 But the problem is if the user write something on other fields from which 1st field is calculated then this code does not work. For best answer, Could you tell me what is the URL of this form?